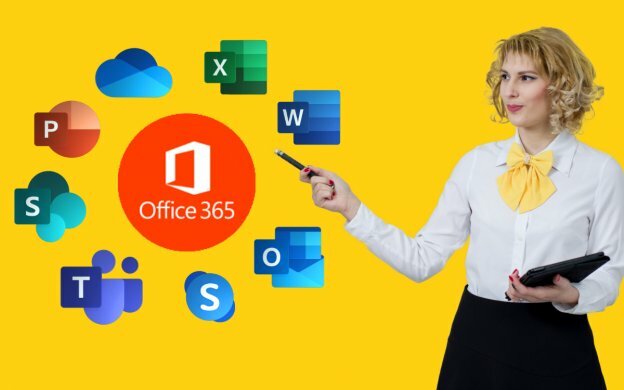 Office 365 is often thought as a business email product, but in fact its an extremely extensive business productivity suite enabling communication, collaboration and storage amongst your team and your extended team of business partners and customers. Moreover, Office 365 is available on all devices used by members of an organisation (PCs, Macs, tablets and smartphones) enabling people to be productive regardless of where they are. It is an extremely successful product portfolio for Microsoft with more than 170m users (growing at 3m a month) spread across more than 200,000 organisations. As a cloud service, Microsoft ensures Office 365 software is always updated. As such, users have access to the latest tools and features for both the online and desktop versions of apps and services to make certain that their tasks are made seamless. Consistent with being a cloud service Office 365 is charged on a subscription basis with 3 product variants aimed at Businesses with less than 250 staff and 3 for Enterprises. There are additional variants aimed at Education, Government and non-profit sectors. Each package variant comes with a different mix of Microsoft applications (Outlook, Word, Excel, PowerPoint, Access and Publisher) and range of services (such as OneDrive, SharePoint, Teams and others). We particularly like the Security and Compliance Centre that comes with some versions of the Enterprise range. The extensive nature of the product suite allows businesses to pick and mix across the product range to configure a solution that meets the specific requirements of their organisation. We would be delighted to help you choose the most appropriate product mix for your business and advise on the best migration path from your current service. The remainder of this article reviews some of the most common components of the Office 365 portfolio. Microsoft Exchange Online is a hosted messaging solution that delivers the capabilities of the traditional on-premise Microsoft Exchange Server as a cloud-based service. It gives users access to email, calendar, contacts, and tasks from PCs, Macs, the web, and mobile devices. It integrates fully with Active Directory, enabling administrators to use group policies, as well as other administration tools, to manage Exchange Online features across their environment. Organisations that subscribe to Exchange Online get the advantages of the full range of capabilities without the burden of on-premises server support. OneDrive for Business is an integral part of Office 365 or SharePoint Server, and provides a place in the cloud where you can store, share, and sync your work files – Microsoft’s equivalent to Dropbox. You can update and share your files from any device with OneDrive for Business. You can even work on Office documents with others at the same time. All files that you store in OneDrive for Business are private unless you decide to share them. You can also share files and folders with specified co-workers so you can collaborate on projects. If you’re signed-in to Office 365, you may even be able to share with partners outside of your organisation, depending on what your company allows. Office 365 subscriptions come with 1Tbyte of storage per user. Microsoft Teams is a chat-cantered workspace in Office 365 that helps team members work together. Microsoft Teams serves as a hub for teamwork, providing instant access to chat conversations, content, and calendaring in a single workspace. As with many of the other Office 365 services, teams may be from inside or outside your organisation. SharePoint and OneNote are built in, and team members can work on Office documents right within the app. Aside from chats, Microsoft Teams also supports video calls (what used to be Skype for Business) and meetings to enable teams to meet live, whether on demand, or scheduled. Team members can easily collaborate with multiple teams and search across people, chats, and files anytime. It more important than ever to ensure the security of information in your care and compliance with a swag of regulations. Microsoft security and compliance centres provide great facilities to check and guide your progress towards a secure environment. Please note that these capabilities are only available with Office 365 E3 and E5. Microsoft 365 security centre includes a dashboard to help you manage and monitor security across your identities, data, devices, apps, and infrastructure. You will also have easy access to your all-new Microsoft Secure Score, new device threat reports, new identity threat reports, and your Cloud App Security reports. Microsoft secure score reviews your security recommendations and prioritises them for you, so you know which recommendations to perform first. This helps you find the most serious security vulnerabilities so you can prioritise investigation. Microsoft 365 compliance centre provides you with visibility into Microsoft Compliance Manager, which reflects your overall compliance posture and gives you recommended actions to help you configure settings to meet complex compliance obligations. You’ll have easy access to sensitivity and retention labels and policies, data loss prevention (DLP), data governance, eDiscovery, data subject requests (DSRs), case management, and Cloud App Security. Additionally, you can gain actionable insights and leverage intelligent automation to reduce your compliance risks and safeguard your digital estate.